“The Pugilist Break” – What looks like a drug overdose death of a reformed junkie-turned community activist results in Henry and Jo tracking a murderer. The complex investigation involves dirty dealings between a real estate developer and a community organizer with millions of dollars at stake. Henry flashes back to the same 1890s New York tenement where he worked as a doctor to help the poor, including an orphan boy who gives him a special handmade gift. Meanwhile, Abe cooks up a Sunday dinner feast for Henry, Jo and himself. When Jo tries to find out how the two men know one another, Henry weaves an elaborate tale to cover the truth, on “Forever,” TUESDAY, OCTOBER 14 (10:00-11:00 p.m., ET) on the ABC Television Network. Guest starring are Juan Pablo Veza as Raul and Caleb McLaughlin as Alejandro. “The Pugilist Break” is written by Phil Klemmer and directed by John Kretchmer. 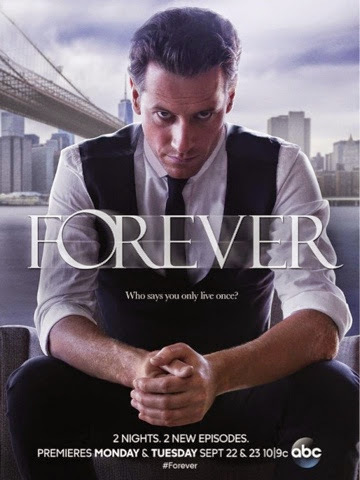 “Forever” and is broadcast in 720 Progressive (720P), ABC's selected HDTV format with a 5.1 channel surround sound. This program carries a TV-PG,V parental guideline.